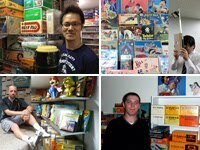 As regular readers of this blog will remember, I exhibited part of my collection at last year's Gamescom in Cologne, Germany. This five day event is a massive gathering of tens of thousands of people with a passion for games new and old. Although I did post about the preparations of this exhibition and showed you around the beforemario items on show, I recently realised that I had forgotten to share the final bit of what was supposed to be a three part write-up. So here it is, the conclusion of a great week in Cologne in August of 2015. Soon after getting everything over to the exhibition hall, unpacking it and arranging it in the show cases, the show opened and the first visitors started flocking in. The first day was still relativity quiet, as it was for trade vistors only. But the key word here is relatively, as it meant it was busy rather than crazy busy (the final weekend would be madhouse). It was so much fun seeing people interested in - and often excited by - the vintage Nintendo items that I had brought with me. 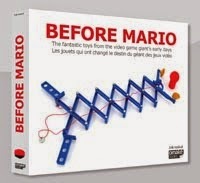 We were still finalizing the stand when the first vistor already appeared, buying no less than two copies of the beforemario book! Various representatives from the press also paid a visit on the first day. Folks from all ages enjoyed the exhibition, recognizing toys from their youth or seeing these retro games for the first time. Until recently, three Nintendo plastic puzzle games were known to exist: Challenge Dice from 1969, the familiar Ten Bilion from 1980 and the rare Crossover from 1981, seen here below left to right on the top row. 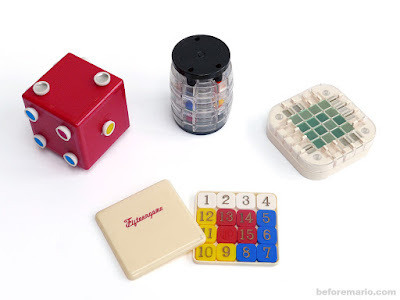 But now a fourth puzzle popped up, which predates the Challenge Dice and is even rare than Crossover. 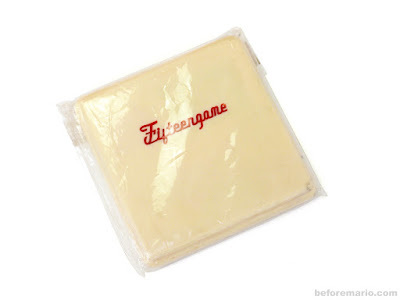 The game is called Fifteengame (フィフティーンゲーム). Although an exact year of release is not known, given the style of Nintendo NG logo used it must be from the early to mid 1960s.